Unlike the National Film Awards, which are decided by a panel appointed by Government of India, the Filmfare Awards South are voted for by both the public and a committee of experts. 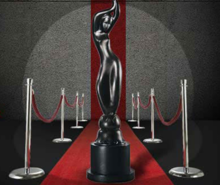 The Filmfare Awards has been referred to as India's equivalent to the Academy Awards for its ostentatious ceremonies and media coverage, although the National Film Awards is more commonly given this distinction for its critical rigour and pan-Indian appeal. The awards were first given in 1953 and the ceremony used to be held along with Bollywood Filmfare Awards. The awards were being held in the Kalaivanar Arangam, Chennai. Later the ceremony shifted to the distinctive Music Academy. In 1953 initially recognizing the Hindi film industry. In 1963 Awards extended to Best Picture in Tamil, Telugu, Bengali & Marathi, for the awards and from 1966 Malayalam films were added. Kannada films became a part of the event in 1969. In 1972 the awards were extended to Best Actor, Best Actress and Best Director categories in all south Indian films. The categories for Special Awards were introduced in the 1980s and Best Music Direction in 1990s. Lifetime Achievement Award – South was first given in 1983. Award for Best Male debut and Female debut were given irregularly during the same period. Categories for Best Male Playback Singing and Best Female Playback Singing were introduced in 1997 . In 2002, awards for Best Supporting actors were given for Tamil and Telugu films. Since 2005, these awards were extended to the Malayalam and Kannada film industries. In the same year, additional categories such as Best Lyricist, Best Playback Singing were also introduced. Awards for Best Comedian were given from 2002 till 2006 and discontinued later. The statuette, depicting a woman whose arms uprise in a dance number with her fingers touching, is commonly referred to as "The Black Lady" (or "The Lady in Black"). Originally designed by N.G. Phansare under the supervision of Times of India's art director Walter Langhammer, it is generally made of bronze, its height is 46.5 cm and it weighs around five kg. To celebrate the 25th year of the awards, the statues were made in silver and to celebrate the 50th year the statues were made in gold. As of 2006, there are a total of 10 categories across each of the four film industries. ^ Anne Cooper-Chen (23 June 2005). Global Entertainment Media: Content, Audiences, Issues. L. Erlbaum. pp. 140–. ISBN 978-0-8058-5168-7. Retrieved 17 June 2012. ^ a b c "Magadheera,Nadodigal,Josh bag top honours at the Filmfare awards". The Times of India. Archived from the original on 9 October 2011. Retrieved 7 July 2011. ^ Film world, Volume 9. T.M. Ramachandran. 1973. ^ Pinto, Jerry (April 1997). "Tangy titbits from the Filmfare past". Filmfare. Archived from the original on 5 July 1998. Retrieved 13 January 2012. ^ "Winners: 64th Jio Filmfare Awards 2017 (South)". Times of India. 19 June 2017. Wikimedia Commons has media related to Filmfare Awards South.